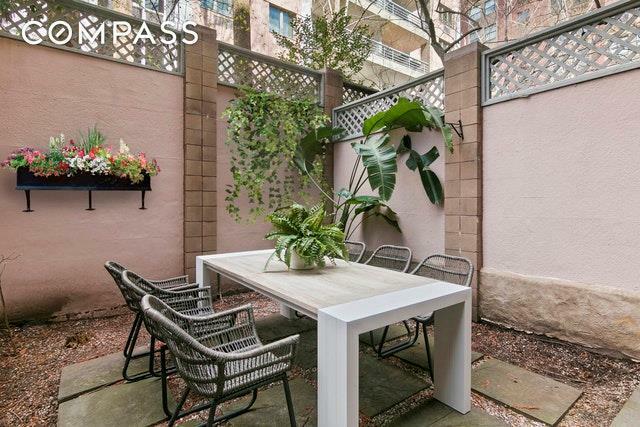 Stunning Duplex apartment with oversized garden seen through solarium style windows. 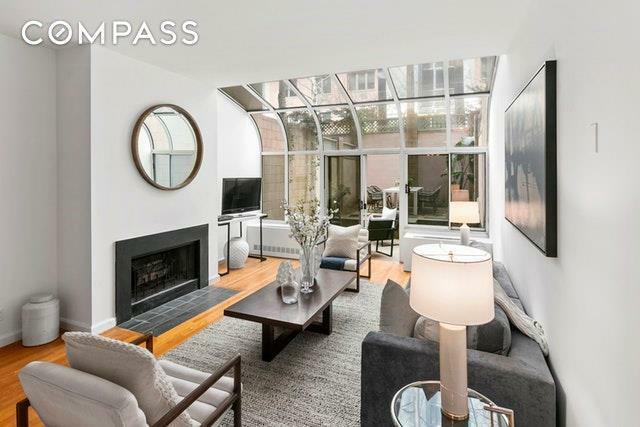 Townhouse living with access to a doorman concierge makes this a wonderful home. Upon entering this ample 3 bedroom, 3 bath duplex apartment, one is beckoned out to the large garden with two seating areas. Enter through the foyer and to the right french glass doors lead into a light filled bedroom or den. 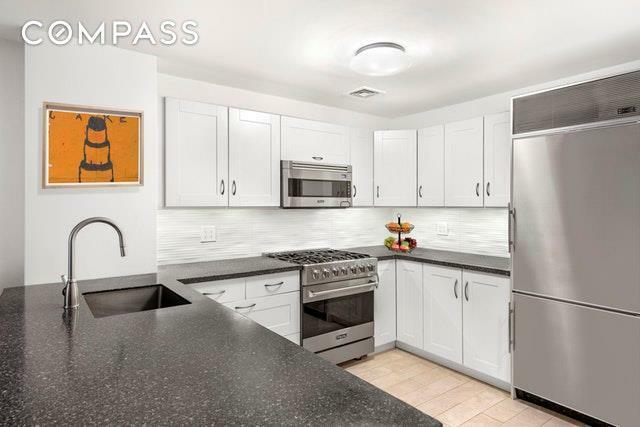 To your left there is a renovated open kitchen with Viking and SubZero appliances, granite countertops opening into a dining room, perfect for entertaining. A step down living room complete with high ceilings and a wood burning fireplace, perfect for cold winter nights. As for the other seasons, you can enjoy them all from your private garden escape, complete with irrigation for planting and/or a hot tub. Upstairs there are two large oversized bedrooms each with en suite bath, standing shower and jacuzzi tubs. 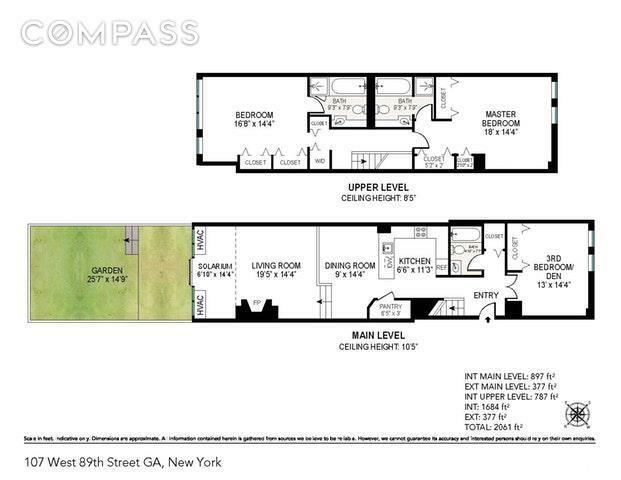 Listing courtesy of Kendra Kolker of Compass.